The Presidents Project | 14,950 Pages. 31 Biographies. 14 Presidents. 1 Project. And Counting. 14,950 Pages. 31 Biographies. 14 Presidents. 1 Project. And Counting. 1. Date- Appearing just three years after volume one, Dr. Wallner’s second and final work on Pierce once again brought the 14th President center stage. 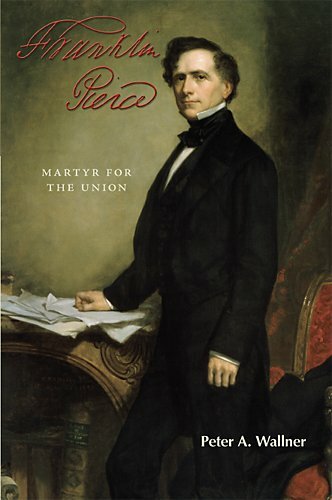 While the initial tome focused on a young Pierce and his subsequent campaign for the presidency, this second volume focuses extensively on the presidency of Pierce and his retirement years. As always, it is significant to examine the world that produced the biography. The published year of 2007 was a political season that provides an interesting backdrop to the goals of Dr. Wallner. For starters, the Presidency of Bush was receiving its “first drafts” during this year. Simply put, the public was exposed to the first cradle to grave narratives despite Bush’s presidency still two years from completion. Much like Pierce, the “first drafts” were less than effusive with praise and reflected a volatile time in American politics. While Pierce tried to assuage a political constituency that barely resembled the one that elected him just four years prior, President Bush saw a Republican Party distancing itself from him and the emergence of fervent anti-Bush forces such as Barack Obama and Hillary Clinton. After looking at the Pierce pinnacle, the book concludes with an extended look at an older Pierce. For the reader, he is a man who is closing the book on his long career. Further still, he has the task of resurrecting his image, correcting misjudgments and general character rehabilitation to look forward to in retirement. The man in the White House in 2007 probably saw a similar fate for himself. It is easy to see why this work on a presidency a century and a half ago feels like a modern tale. At just eight years old, this work remains one of the most recent works in the Project. 2. Scope- By dividing his work into two volumes, Dr. Wallner makes this analysis of scope a bit easier. 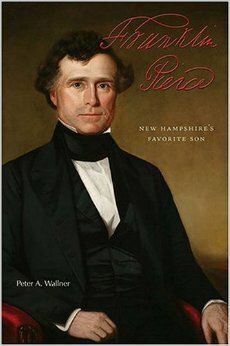 After spending volume one focusing the readers on the early life of Pierce, Dr. Wallner allows this second work to zero in on the presidential and post-presidential actions of Franklin Pierce. Like in the first foray, this set up is largely successful in regards to a total scope of Pierce. Dr. Wallner bookends his discussion on the Pierce presidency. First, a chapter on the launch of the presidency. Later, to complete the bookend, Dr. Wallner brings a nearly identical chapter on the cresting of the Pierce administration. Though at times jumping around on the number line, there is a fairly consistent chronological march covering significant events while still bringing the reader depth in background information. It would continue to be the strength of the works overall. The scope during the presidency maintains strong depth which leaves the reader very in tune with the pace and rhythm of Pierce as a man and public official. The post presidency also fits nicely in the scope and right in with the modern expectation for a biography to cover the post-presidential years in depth. The scope brings powerful substance in the discussion of the Civil War years, an event that is hinted at throughout the scope of the two works. Dr. Wallner very effectively used the War Between the States to show Pierce as a product of his times and the struggle of the less spectacular to grasp its ramifications. Overall, the scope is yet another solid aspect of a two volume success. (Please see discussion in the Author section of Volume One). 4. Length- This category continues to show the many differences in presidential biographies in this Project. When one couples 322 pages from the first volume with 500 pages from the second, readers are treated to a long form presidential biography usually reserved for the greats. Additionally, this biography is original for the era. While it offers a unique flavor, that reality is not normally seen in antebellum president’s biographies or in this Project in general. In fact, these works combined are the second longest works after Remini’s three volume work on Jackson. The benefits in this category do not stop there. As mentioned before, two volume works often attempt to be 50/50 when it comes to page length. Dr. Wallner comes closer than some to this equal distribution but his slightly larger second work re-emphasizes the importance of the presidential years while not diminishing the writings of volume one. This balance resembles the long biography characteristics with extensive background discussions of issues and a deeper dive into the personalities in Pierce’s pre-presidency, his presidency and afterwards. While there are no doubt moments that these works drag along, Dr. Wallner is mostly able to prove that the life of Pierce is significant enough for a long biography dive rarely seen in the antebellum era. For fans of long biography it is unlikely that an obscure chief magistrate will get better treatment in the length department. An extended work that (mostly) remains engaging. 5. Mission- Volume one of Dr. Wallner’s deep study was the first substantial Pierce work in three generations. Volume two moves this work from a simple update to a substantial biography providing an insightful look at a dark time in America’s history. While the Civil War is played over and over (and over) from bookcases to reenacted battlefields, Dr. Wallner continues the mission that unsuccessful presidencies are just as significant as Mount Rushmores. Just as quickly as this truth is made clear, he reminds us to not go nuts. This is no rehab job. It would be easy for Dr. Wallner to try to move a disgraced president into a shinier limelight and redeem his reputation. Instead of going the rehab route, Dr. Wallner creates a long form biography in two parts that allows him to delve into the complicated and impossibly polarized 1850s. He does this without making a dirt heap into Mt. Everest. Much like the Fillmore and Buchanan biographers that bookend Pierce, the card to be played is a man trapped by the unprecedented struggles of 1850s America. Dr. Wallner gracefully straddles the line from pasting over flaws to simply showing that anyone of Pierce’s time would react the same way. He is correct in not putting Pierce on a postage stamp but saying, “his administration had a few significant achievements. Through it all an honest president never lost faith in the American people, in the Union, or the Constitution.” These simple understated words from the author show his mission but also remind the reader what a razor thin margin exists between the great presidents and miserable failures. Without works like Dr. Wallner’s, we would know all about the great presidencies but never learn how quickly they can go the opposite direction. Sometimes to appreciate the angels, once must read up on the demons. No offense, Frank. When the show is over, what’s next? 1. Date- Mr. Pierce meet Bush’s America. 2004 may not on the surface appear to be an ideal time to update the American reader on Frank Pierce, 14th president, but sometimes with total lack of scholarship it was as good of a time as any. It was the first cradle to grave work on Pierce since the Great Depression. Confusingly, this decade-old work by Dr. Peter Wallner is only incidentally about the 14th presidency of the United States. This is only part one of the story, covering Pierce’s birth in a young nation up until his inaugural in 1853. Dr. Wallner brings the reader to the edge of the presidency and 2004 is a surprising kindred spirit in American politics. As with any election year, the future is always the focus, but the personalities and intricacies of the human beings inside end up being the story. While there were certainly a lot of foreign and domestic issues surrounding the Bush-Kerry election, an event climaxing at this book’s publication, falsehoods and character attacks outlived policy quibbles. In that sense, the Pierce reader will recognize the swirling accusations and half truths obscuring the true Franklin Pierce as his gets put through the all too familiar ringer in his presidential quest. The whispers of Pierce’s struggles with alcohol are not all too dissimilar than sitting President Bush who was a recovering alcoholic himself. His challenger John Kerry? Well, he hoped to spend an election addressing his military prowess but instead spent a great deal of time correcting hearsay accounts on the ground disparaging his service. While Pierce was not George Bush or John Kerry (or even an amalgamation of the two), this work was published during an election year reminding the readers everywhere that sometimes the presidential contest never ends up being about the presidency at all. Taking Pierce scholarship from the outdated Nichols work of 1931 into the 21st century, Dr. Wallner does a solid job of making Pierce seem relevant at the time of publication. 2. Scope- This first volume of Dr. Wallner’s Pierce biography was always meant to bring the audience to the doorstep of the presidency. Instantly, the scope of the work becomes very clear. Despite not quite endorse this as a multi volume work, it is impossible to not think of this as volume one of two. 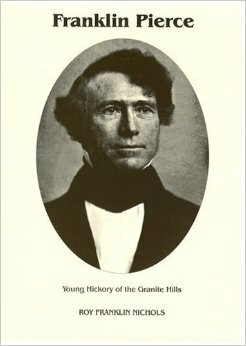 In regard to scope of the subject, volume one is a complete tale of the rise of Franklin Pierce. Dr. Wallner starts off the narrative with the upbringing of Pierce, solidifying his family’s connection to the nation’s founding and the Jeffersonian bedrock foundation that Pierce would try to maintain into the 1850s. With the presidency pushed off to another volume’s scope, Dr. Wallner only needs to get the narrative to the precipice of Pierce’s obvious career peak. After covering the early years, the scope is then rounded out in Pierce’s mid years rather than traditional presidential biographies that end in death. The personal look at Pierce’s life and relationships is particularly notable as yesteryear’s almost total disregard to delving into private life. Family and friends become key actors with Dr. Wallner’s long study of Pierce’s personal growth. Characters are not just mentioned but are explained through personal correspondence often quoted verbatim to maintain grammatical and spelling errors of the time. The narrative goes right through Pierce’s nomination in 1852 and subsequent election to office. Again, Dr. Wallner’s decision to take the presidency off the table makes the usual appetizer of the presidential biography, the campaign, into a focal point of the life’s story. For example, the election of 1852 turned on Pierce staying home while his opponent General Winfield Scott electioneered throughout the midwest. Dr. Wallner’s scope showed 1850s American expectations of a presidential candidate while showcasing how Pierce used this knowledge to win. Absent a total scope these details would be meaningless, but with a segmented and total arch the significance is readily apparent. For a casual reader, the man who is bringing Pierce to the 21st Century may not be totally in it himself. Peter Wallner does not have a Wikipedia page. However, it wasn’t some nobody named Dr. Wallner that wrote the first Pierce cradle to grave work in 75 years. The relative obscurity is in many ways an advantage for readers. For starters, he isn’t a defensive family member or partisan trying to resurrect the legacy of one of history’s bottom feeders in the presidency. The perspective is academic and justifiably asks how much of Pierce’s reputation is based on detractors and other non-supporters. One would think becoming president ensures tomes of objective study encompassing multiple perspectives. This is not totally true when it comes to the less exciting and obscure presidents. Amazingly, one vindictive or spiteful author could permanently set the tone for the legacy of a president. With this in mind, Dr. Wallner does not blow his chance by swinging the story to the other extremes. As a member of the New Hampshire Historical Society, Dr. Wallner certainly had an interest in lifting Pierce up from obscurity if only to update the story to the 21st century. But his fair, if void of judgement, perspective never reaches a “homer” status and draws no analogies to a local supporter or blind faith. For a man like Pierce, local interest societies may be his best chance at being the subject of a full scale biography. Once again, the presidency is not enough to ensure scholarship. Dr. Wallner’s other pursuits have mostly been academic. After receiving his Ph.D. in History from Penn State, he has taught in an adjunct role at the New Hampshire Community Technical College and at Franklin Pierce College. Before higher education he taught history at a more secondary level for 30 years. To date, Dr. Wallner is almost universally recognized as the go to voice for all Pierce related perspectives including his First Lady and the antebellum America that elected him. 4. Length- By splitting his Pierce research into two volumes, Dr. Wallner partially eliminated the risk Nichols took back in 1931. With such a full career plus a presidency, the biography of Pierce can quickly become a longer than needed manuscript. Add in the fact that decades pass before a complete look at Pierce is conducted, many events that are “skippable” for other well known chief executives become essential components for a definitive look at the 14th president. Dr. Wallner does his best to mitigate that balancing act. The end result is not a 50/50 work that many two part works end up being. With this 2004 work, volume one evolved into the short 322 page preview of Pierce’s life before the presidency. However, for a short biography many characteristics seem at odds with the goal of keeping content brisk for the rapid reader. 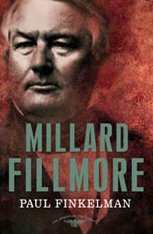 For example, Pierce’s predecessor, Millard Fillmore, had both a short and long biography reviewed here in the President’s Project. In the short biography only slightly shorter than this first volume, the story just moves along and does not get bogged down in personal animosities. Also, trivial personal details that are on the surface interesting do not progress the narrative. All of those factors become strong points of Dr. Wallner’s first work. In only 322 pages, Dr. Wallner is able to surpass Nichols’s lack of personal connection to his subject and create a deeper portrait than one might expect at a work twice the length. Certainly this is not a disappointment to the presidential historian or interested scholar. However, this long-style biography done short does begin to shed light on the fact that this book is hard to find and not readily available despite. It is difficult to imagine fans of short presidential biography will appreciate those characteristics in this work. That is just half of the battle. Without a proper resolution in the presidency of Pierce and his later career, one begins to wonder why Dr. Wallner split the book up at all. 5. Mission- In many respects the cookie cutter definition of the first cradle to grave in 75 years completely speaks to the mission of Dr. Wallner’s work. Despite this basic truth the deeper mission is more nuanced. For example, Dr. Wallner in the above link states, “Franklin Pierce was a more significant figure as a political leader in the mid 19th century than he’s generally considered to have been. He – and if you read his views, if you read what he believed in at the time, it wasn’t so far removed from the mainstream of political thinking, even today.” Many less responsible authors would be tempted to present this sentence to build a case that Pierce is close to Rushmore. However, Dr. Wallner keeps such undue praise in perspective and tremendously adds to his credibility as an author. Instead of saying Pierce is misjudged as to his level of success in his political rise, he simply points to Pierce’s significance as the discrepancy. As a member of New Hampshire historical circles, Dr. Wallner is successful in drawing past actions and linking them to Pierce’s significance. The second part of the quote is perhaps more telling of the mission for Dr. Wallner’s opening volume. This string of mediocre and unsuccessful presidents has been tossed aside for most of the casual readers with minimal discussions and critical study. Misjudgements spread far and wide. As recently as April 21, 2015, former President Bill Clinton even told a room of Georgetown students that Franklin Pierce rose from Governor of New Hampshire to the White House. Sorry Mr. President, like many Americans, the 14th president remains a cloudy and murky man from a history class of yesteryear. Frank Pierce was never Governor. Despite raising to the highest levels of elected office in the United States and not being “so far removed from mainstream of political thinking,” Dr. Wallner had a mission to show the rise. He had to show that correcting the record matters and the rise of Pierce is a necessary story to tell. He had a Herculean task but a decade later becomes the weakest aspect of this effort. The verdict is not kind to Dr. Wallner. Amazingly, this book is barely ten years old and does not appear on most mainstream book sites like Amazon and Barnes and Noble. So much for bringing Pierce to the masses. 1. Date- It is easy to write off the 1850s as an unthinkable chaos in American history. Maybe it was. However, if one American decade can come close to those years of uncertainty it is the 1930s. The decade was a sobering reality that the peace of the past was drifting toward a paradigm shifting war that only clairvoyants could hope to predict. Perhaps it was these kindred feelings that allowed Nichols to pen a seemingly relevant work on the 14th president in 1931. With 160 years since Pierce took office, Nichols’s work cuts that difference in half, giving modern readers a midstream perspective on antebellum America. At points, Nichols writes as if he is closer to Pierce’s time, at others it is as if he is making statements on contemporary times. Readers can’t help but see some testaments to both times. For example, slavery is dealt with the now all too familiar Lost Cause lens with zero coverage of the slaves themselves. Instead, Nichols continues the perspective of the times as an unavoidable clashing of ideologies, not the humanitarian struggle. This blindspot and antiquated look at the era perfectly illustrates how completely Pierce and others missed the most important issue of their lifetime. However, this is not all bad for the modern Pierce reader. Many modern works on the 14th president focus perhaps too heavily on his slavery actions while Nichols’s glossing over of this ugly smear led him to have extended conversations of other areas such as foreign policy and the economy. Those extended conversations are just as relevant to modern American debates as they were to the 1850s. What emerges is a surely outdated but a valuable snapshot perspective of the turbulent 1930s making sense of the fraying 1850s. That is a viewpoint with tremendous value. 2. Scope- In one of the strongest aspects of the work, Nichols decides to work a traditional cradle to grave work. With Pierce biography beyond rare, this is a treat to those seeking a complete project. He sticks completely to a chronological single volume and even extensively makes amends in the notes for shallow aspects of the biography. This review promises to not use “shallow” again. This could not be further from the truth. At 625 pages, all sense of being a short biography for a quick read is disregarded. Nichols instead broaches the subject of a light long biography with many epic characteristics found in titanic tomes. The Pierce story is allowed to breathe. For starters, much print is dedicated to his marriage and his family. For those wondering why this mundane detail is noteworth, this is not something that is typical of political biography. Another curious aspect of this work is that it has a generous helping of contemporary scholarship. Beneficially for those attempting the project in this antebellum era, many of the pre-Civil War presidents have a 400-600 page work from the 1930s. It makes it easy to compare. Nichols truly distinguishes this work with his great coverage of Pierce’s childhood and his political maturity. The scope does seem to run out of steam towards the end. After a dense, slow and ultimately overkill look at Pierce’s presidency, Nichols opts for a sprint to the end of Pierce’s life. One wonders why Nichols even mentioned Pierce’s post presidency voyage to Europe because he rapidly speeds up the narrative without warning. Whereas 1856 had occupied dozens of pages, 1857 thru his death in 1869 barely represented 40 pages. Again, this is not a fatal flaw. It is a total scope and the meat of the narrative is perhaps rightfully in the presidency, but there is a sense that much of Pierce’s life is merely given lip service. One wonders if there is anything really Nichols could have written about. 3. Author- Unlike many works that are elevated into the Presidents Project, this is neither the pinnacle nor twilight of the author’s career. In fact, 1931 was only Nichols’s second year as a Professor of History at University of Pennsylvania. Prior to this role, Nichols rose the ranks in prestigious academia circles including a Masters from Rutgers and a PhD from Columbia. His first notable publication was of the Democratic political machine from 1850-1854. Following this 1923 acclaimed work, Nichols frequently distinguished himself as an authority of the antebellum era. As mentioned earlier, he was by no means a run of the mill Lost Cause writer that dominated political scholarship in the era. He was frequently cited for being a writer abnormally focused on “psychology, sociology, and the natural and physical sciences to support traditional narrative political history with humanistic insights from the emerging field of social history.” This run-up to this reviewed work was but a peg in the wheel toward even higher levels of success. After Nichols’s work on Pierce in 1931, he won the Pulitzer Prize for History in 1949 for his work on the fraying American Union. 1961 saw him win both the Haney Medal for Literary Excellence and the Athenaeum Literary Award. Needless to say, this work is the epitome of an academia focused biography penned by a man who dedicated his life to academic research. It is not concerned with rumors and speculation, but instead tackles preconceived notions with impeccable study and sound reasoning. If this sounds like the dry, educational and thorough answer to your Pierce cravings, well then we have done our job. 4. Length- Nichols makes a bold supposition crafting a Franklin Pierce work and extending it to 625 pages. This extended biography bordering on epic represents a work that in length is often reserved for legends. Hardly any historian would list Pierce as deserving of the treatment just listed. However, Nichols was searching for emotions beyond the surface as explained in the author section of this review. Throughout the work and in the epilogue, Nichols never claims to use this longer work to vindicate or revise past criticisms of Pierce. Instead, he feels that a longer work is needed because of the complexity of a man. Nichols felt the truncation of what he found would only exacerbate the misconceptions and hollow biographical stereotypes. By making a longer work, Nichols clearly leaves the casual or passerby of presidential biography mostly off the grid. It is imagined that those skipping around in presidential biography would circle Pierce as “skippable” and 625 pages of Pierce as further validation of their theory. However, for the more disciplined and dedicated (is that the nicest way to say it?) antiparticle in the Presidents Project, it is tremendously beneficial that such an obscure president gets such an extended look. It is a long and towering work that no doubt scares off light readers early and makes no flashy movements to cheaply “hook” in the others. Nichols takes his time and lets Pierce guide the action even when action is found wanting. 5. Mission- On the surface, there are several seemingly obvious reasons for a scholar to write a book on Pierce. As is becoming a theme with mostly mediocre if not failure of presidents many academics check in simply to see if the failures were still failures. It is by no means a predictable exercise. Occasionally, the revisits uncover new realities and stocks begin to rise. Other times, the reader is left to wonder if the subject is better left alone with their shortcomings. Nichols makes a brilliant move and plays it both ways. He certainly does revisit Pierce and he no doubt sees an overwhelmingly poor presidency. However, he abundantly proves the mission of going back to look at men like Pierce. One example is in the writing style of Nichols himself. Nichols also was not like others. His writings sought to employ more psychology and sociology than what was expected from 1930s writers. This unique perspective brings to light Pierce as the complex failure as opposed to a weak cartoon that he was stereotyped. After all, failures have many complex factions not unlike successes. This deepening perspective proves crucial for the reader to better understand the times and the sympathies that led to some of Pierce’s decisions. Instead of saying Pierce made bad choices, Nichols dives into Pierce’s inability to say no and his frequent ambiguous statements. Again, these are similar conclusions as a shallow (theres that word again) textbook may say, but Nichols’s reveal more of Pierce as a human being. Not just a normal human, but a real person struggling with the reins of the highest office. Perhaps at one point Nichols set out to write the grand vindication of Pierce. Maybe he knew all along he would arrive at the spectacularly overplayed platform of Pierce the Failure. Regardless, his decision to reaffirm the failures of Pierce while discovering new realities and more complex truths gives the reader a successful mission. One can always succeed at explaining failure. 1. Date- By now you’ve been following the blog so intently (right?) that you are tired of outdated volumes of centuries past. Time to get into the 21st. What better way to ring in 2011 than with the man who is probably most foreign and unknown to the modern reader. There should be no surprise here. It is easy to see why a half century has passed since someone revisited the work of Robert Rayback and other Fillmore revisits. At a time we fondly remember a triumph over secession or dramatic strikers, Finkelman brings us the wallowing and indecisive Fillmore. His legacy is one of deference and inaction, hardly the Lincoln-esque heroes lionized from the antebellum or Civil War era. Make no mistake, giants of this era Grant, Stonewall, Lee etc. are well known even to the casual history fan. Finkelman makes it clear history is not kind to Fillmore. Calling him “thoroughly unsuccessful” and a “failure” Finkelman provides the presidential reader with the perspective of modern distaste. Anyone looking for a revisionist history or apologist for a man that seemed to epitomize a less than glamorous American past will find little in this 2011 work. There are some inherent flaws with such a contemporary look. A very recent perspective can be unduly harsh and too willing to judge with a modern look. Not necessarily a bad thing, though. Fillmore doesn’t exactly having any hope of his stock rising anytime soon. Finkelman backs this brief volume up with a well researched if slightly biased biography. Too soon? 2. Scope- Finkelman, like all authors in the American Presidents project, sticks almost entirely to the cradle to grave model. While the length is much to be desired (more on that later) there is a consistent and dedicated goal of each book in the American Presidents series. The goal is to provide a traditional biography that covers the life of a president and not just an essay on the times or a deep dive into the presidency. Accordingly, this Fillmore work provides a rare straight scope for such an obscure president. Though his presidency is brief, Finkelman does spend a considerable of time in the pre-presidency before briskly rounding out the post-presidency. The scope is total though it does feel like a superficial ride with only minor looks at his family and his political contemporaries. Finkelman at times feels like he is checking boxes along the way and it makes it tough to separate the important from the anecdotal besides obvious benchmarks like his presidency and slavery. Did I mention slavery? Hope you enjoy discussions on the topic because Finkelman does. Though certainly within the bounds of scope Finkelman brings slavery across the entire narrative and chooses to let the topic dominate Fillmore’s life story. Ironically, this was the very issue that Fillmore spent a lifetime trying to keep on the backburner. His failure to do so perhaps makes Finkelman’s razor sharp focus even more profound. Scope is total but scope does not equal depth. 3. Author- Another benefit to having a modern book is that Paul Finkelman is not nearly as obscure as some other authors in the Project. In fact, he is a quite prominent author of many antebellum works including Slave and the Founders and more than 25 works dealing with history and race relations. As the clip above shows in abundance, Finkelman is one of the most highly respected historians in modern scholarship. In addition to appearing in major American newspapers, he is also a go to for historical documentaries from Ken Burns to films regarding Barry Bonds. Though his academic career has spanned many subjects, the 1850s has always been his specialty which makes his selection as Fillmore’s biographer a tremendously sound choice. Though he has many that disagree with him, his opinion is regarded as sound and respectful and a perfect voice for the complicated time that he has dedicated his career to understanding. His only flaw that comes with being so renown is that his often clear hatred of slavery can cloud his perspective. Instead of tackling slavery as a complex and tragic grey area as many historians tend to do with subjects antebellum, Finkelman gave Fillmore the for/against argument and based his entire criticism on the fact that Fillmore was in the negative. This bias made this work fall from glimpses of greatness. 4. Length- 171 pages of Millard Fillmore. I’d imagine for most, this is 171 pages too many. For the Project, this entry ranks right at the bottom for shortest work allowed to be included. At publication of this post in the Spring of 2015, there seems to be no other choice for a second Fillmore entry. 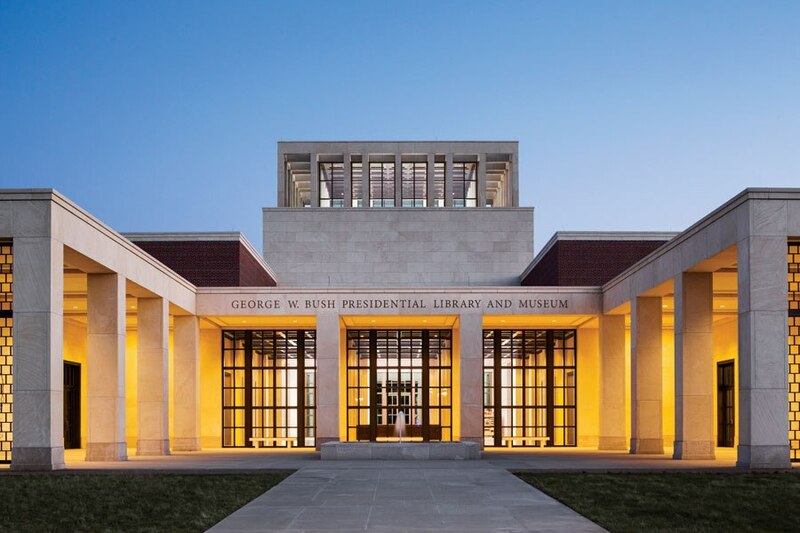 After consulting many other partner blogs and similar projects it was abundantly clear that the cradle to grave narratives so desired by the Project only appeared twice for the 13th President from Buffalo. Not to say that the American Presidents series is anything short of respectable. It is a series that has covered each President entirely and has provided an unprecedented look “compact enough for the busy reader, lucid enough for the student, authoritative enough for a scholar.” As a result there is a begrudging acceptance at the super brief work included here. However, the short length was not an out for Finkelman. As mentioned above, he spends nearly half the book addressing the slavery issue head-on even as his subject does everything possible to sweep it under the rug. With such a precious few pages seemingly available to Finkelman it does seem odd that he doesn’t address other gaps in Fillmore scholarship. For example, it seems there is no work too long or too short to mention either of his wives at length or his children. This possibly could have spotlighted the tragic early deaths so common in the day. Like slavery, these would have been great representative life events of Fillmore to further the story of the 1850s. Though it is a short work to begin with, this feeling of being truncated is all too obvious. So, yes, the busy reader will be thrilled with the compactness, but the students and scholars of Fillmore will finish the book wondering if any new ground was covered at all. Whereas, Rayback’s 470 page work seemed too long at times, this work definitely feels too short. Perhaps Fillmore will one day get the Goldilocks treatment. 5. Mission- It is impossible to analyze the mission of Finkelman’s work without understanding the book within its series. Beginning in 2004, Arthur M. Schlesinger, Jr. and Sean Wilentz sought out to recruit a new author for each president. With a varying degree of success they were able to cobble together an authoritative voice. The mission was to put modern eyes to the past. The books could bring a set of short biographies into Presidential scholarship to compliment those that are unwilling to slug through the 500+ page behemoths out there. Overall it is a success and has provided a perfect niche. Their selection of Paul Finkelman is a continuation of that. As mentioned above, he is a well respected scholar of the 1850s era and was able to continue the brisk publication of the works. This process is what has made the project so successful. As with all the works the mission provides a great service for Presidents such as Fillmore. With alluring titans as Jackson and Lincoln sandwiching the era, the string of mediocre (or failures) Presidents leading up to the Civil War rarely get a look. This is mostly because modern eyes go back and find these figures even more insignificant and repugnant than when we left them. However, without series such as these we would never check in and revisit from time to time. In essence we were all given the disheartening update. Fillmore was still a failure and America still teetered along without strong leadership. We are still waiting for their historical liberation. It does not look like it will ever come. Glad we checked up on old Milly. 1. Date-Let’s go back in time. The 1950s were coming to a close and America was on the cusp of turning to a New Frontier. Perhaps this backdrop inspired Robert J. Rayback to publish a Millard Fillmore biography in 1959. A look at the 13th president was surely not overkill in scholarly circles. There was no drought in general. The centennial of the Civil War was fast approaching and biographies were aplenty for the common topics such as Lincoln and Grant. However, Rayback was not interested in the Greatest Hits. Instead, in this backdrop, Rayback published the first biography of Fillmore in decades and probably the most comprehensive work on the man since his death in the 1870s. It was not an easy choice. Fillmore lived through the Civil War, not as a heroic figure, but a complicated politician reacting to the revolutionary events of his lifetime. It may surprise readers to realize that becoming president does not guarantee scholarship. In fact, before Rayback’s work, the only full scale biography of Fillmore is a 1915 work that is repudiated by all standards of modern scholarship. It was also largely out of print by the 1950s. So the dust settles on this work that stands alone. For the full scale researchers, this is the latest and greatest. There really isn’t much other competition. Other works have appeared but none come close to a full scale cradle to grave narrative that Rayback provides in this volume and works that are sought for this Project. Facts are facts though. His work is outdated but still takes the top prize for Fillmore by default. 2. Scope- Rayback, knowing his role as having a blank slate, does a nice job of touching on the entire life of Fillmore. The need to go cradle to grave was certainly apparent. 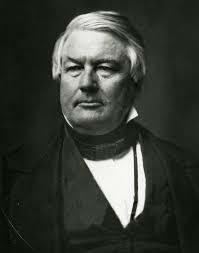 Though he may be obscure in many areas, Fillmore is well known in his native Buffalo for example. Knowing this, Rayback takes his time in the beginning of his work to show Fillmore’s upbringing in the emerging city. This is in addition to Buffalo as emerging in prominence in the nation he was destined to lead. The scope gingerly touches on the complicated pre-presidency though there could have been more discussion on political mentors or his emergence of thought. The skin deep approach can make Fillmore rather bland as opposed to tracking his steady but impressive rise to the top. The scope maintains a largely chronological scheme once Fillmore becomes president (not typical for this period of presidential biography) allowing his presidency to emerge along a logical timeline. Rayback also wisely focuses most of the discussion on the presidency on domestic policy. This (correctly) shows that while his foreign policy was indeed involved, it was the explosive 1850s domestic issues that dominated Fillmore’s reign as President. The solid scope continues after the presidency with an excellent and thorough discussion on the 20+ years of Fillmore’s post presidency. Overall, Rayback wisely uses the scope of his work to show how complex and complicated America had become where no easy answers were readily emerging to address unprecedented challenges. 3. Author- Maybe someplace somewhere Rayback and Fillmore are conversing. They can talk about how they tremendously contributed to their fields and now languish in anonymity and obscurity. As a professor at Syracuse University after decades of scholarship, Rayback attempted to academically tackle the unknown Millard Fillmore. Though his task of elevating Fillmore was somewhat successful, Rayback was not able to raise his own or Fillmore’s profile. Further information on his brief career as an author seems wanting and can only be found on friendly blogs. What little is known seems to heighten the credibility of Rayback as Fillmore’s preeminent historian and biographer. He came from a family of writers including his scholarly brother, Joseph Rayback, who was writing a biography on fellow New Yorker Van Buren upon his death in 1983. Both scholars valued the 19th Century antebellum actions of New Yorkers on the complex issues of slavery, immigration and America at mid-century. He would publish many articles, but this work on Fillmore would be Rayback’s only biographical work. 4. Length- At 470 pages, Rayback’s 1959 work on Fillmore definitely clears the hurdle of a canned short biography or flimsy middle biography. It covers much more of his subject’s life than Fillmore’s narrow life events. The story breathes into the surroundings of Fillmore’s America. However, there are definitely moments when the work feels constrained and incomplete. For example, there is little research or discussion into Fillmore’s family. Though typical of the era, Rayback chooses not to delve into his two wives or his two children. This would not be odd but Rayback himself calls one of his goals in this work is a “portrait” of Fillmore. Modern insinuation of a “portrait” pushes a work like this to go deeper than just a rough sketch of his personal aspects. Instead of Fillmore’s real family, Rayback chronicles Fillmore’s New York enemies and friends as the human connection in the subject’s life. In place of his wives there is extended discussion on New York titans Weed and Seward. Again, the mid-length biography only creates an extended narrative and not necessarily a deeper examination on how they made Fillmore into the man he became. Perhaps the maybe-never-produced larger Fillmore sketch is borne out of a deeper look at letters, stories and contemporary accounts that may bubble to the surface. I wouldn’t hold your breath. Ho hum. Yet another forgotten and largely unknown president entered into the President’s Project. Like Fillmore’s predecessors, Taylor, Tyler and Harrison we again see that the presidency alone may not be enough to get a gigantic tome or scholarly gold. Rayback’s work is a prime example that the dull often get tossed aside for their dynamic and explosive contemporaries. There is no address or crowning moment of Fillmore’s or controversial moments that changed the tide of history. Quite simply, Rayback picked a man who was not decisive in his actions and a perfect manifestation of the wallowing of his times. He creates a portrait of a man who barely sought re-election, became president upon a sudden death and never led a charge into a brave new world. Instead, Rayback’s mission is to show that America was not all Lincolns and Grants, but full of Fillmores who were weary of new immigrants, bit the bullet of slavery to save the union and otherwise clung to the hope that radicals would lose and reason would win. It is a tall task and given the subject matter, Rayback does an impressive job of actually couching Fillmore’s anti-Catholic visions and his concessions to slavery. Rayback understands that the negative should not be whitewashed and that a true historian should read his work. Yet, all criticisms considered, Fillmore was president. That meant something to Rayback and he wants to tell (or gently remind) his audience that that will always be true. Sure, Fillmore was never elected. However, he was only 60 days shy of Kennedy’s tenure and outlasted Ford, Harding, Taylor, Garfield and Harrison. He was the last Whig president. All of these are stubborn facts and Rayback makes it his mission to make sure it is not forgotten. Sadly for Rayback’s legacy, there is little to no proof that Fillmore’s stock is rising to any sight of prominence. Truth be told, Rayback had a tall task but there is no sign that his work had any effect. I’ll update this if Speilberg buys the script based on his work. Must it be said again? Don’t hold your breath.